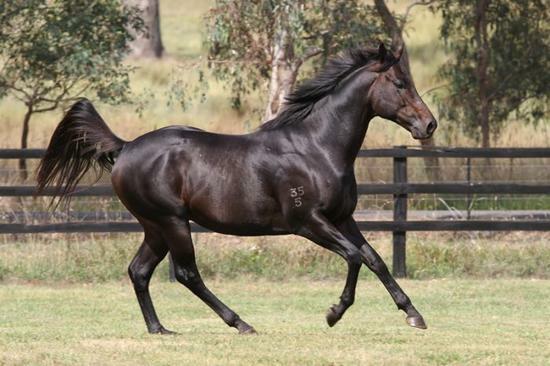 O’ So Hazy is a mare born at Larneuk in 2013 November 8 by O’Lonhro out of Yes Vaigly raced by Larneuk Stud Pty Ltd, Mr NT Penfold, O’Lonhro has been outperforming this year. Training the favourite for any major race comes with pressure and Scott Spackman was certainly feeling it in the lead up to today’s Southern Districts Country Championships Qualifier at Wagga. O’ So Hazy was well supported since the markets opened earlier in the week but Spackman dealt with it the best way he knows how to – doing his job. Spackman had to wait until after the horses crossed the line for any relief with less than a head separating first and second and another nine horses all finishing within three lengths. When O’ So Hazy’s number flashed up on the results board, Spackman became the first Wagga trainer to win a Country Championships Qualifier. O’ So Hazy (Brooke Sweeney) salutes in the SDRA Country Championships Qualifier. Credit: Kylie Shaw – Trackpix. Regular jockey Brooke Sweeney settled O’ So Hazy on the fence in second position behind Fermanagh Lad. Leading into the race there were concerns O’ So Hazy may not run out the 1400m and the tactics reflected that. Sweeney popped the question at the 400m mark and O’ So Hazy began eating up the ground. Today’s Country Championships win is the biggest of Brooke Sweeney’s career to date. Not bad for a 23-year-old who only came out of her apprenticeship at Christmas time. Sweeney has now ridden O’ So Hazy five times for four wins and a third place at Canterbury and Spackman will reward her with the coveted ride in the $500,000 Country Championships at Royal Randwick on Saturday, 7th April. It will be her first ride at the premier Sydney track. Spackman is yet to decide whether to run O’ So Hazy again before the final. Runner-up Bennelong Dancer has also booked a trip to Royal Randwick for Albury trainer Graham Hulm. Today’s qualifiers join Victorem, Awesome Pluck, Kopi Luwak, Pumpkin Pie, Cosmologist and Noel’s Gift with guaranteed places in the final. The Northern Rivers heat will be held in Grafton next Sunday. Watch a replay of the SDRA Country Championships Qualifier as well as all other races of the meeting here.